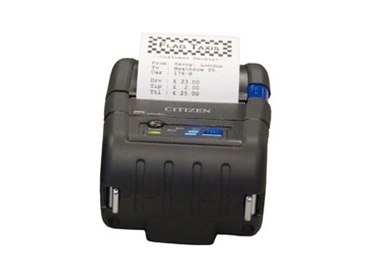 Citizen's CMP-20 mobile printers are designed to deliver professional quality receipt printing in a compact footprint. The CMP-20 prints on 2-inch wide receipts. A strong rubber moulding is wrapped around the high-impact case to give both durability and reliability. Designed for direct line thermal dot printing, Citizen CMP-20 mobile printers print to a width of 48mm on a media width of 58mm. Sensor and error monitoring functions alert the user for paper end, cover open, low battery and head overheating issues. POSBay Pty Ltd supplies a comprehensive range of point of sale equipment.